Former I-League champions Minerva Punjab have roped in promising midfielder Samuel Lalmuanpuia on loan from Shillong Lajong. Lalmuanpuia will be in the Minerva squad when they begin their group stage campaign in the AFC Cup, the Warriors' first appearance in the Continental Competition. "Samuel has been signed for the AFC Cup until the end of the season for now," Minerva Punjab director Ranjit Bajaj told Sportskeeda. "We had to make a choice between the I-League and the AFC Cup. We're looking to really do well in the AFC Cup group stage since we're representing India in the competition and that's where Samuel fits right in for us." Samuel Lalmuanpuia has been with Lajong since 2016 and even captained their side for the last years. He was the youngest captain in the I-League (apart from the captain of the developmental side Indian Arrows), donning the skipper's armband at just 19 years of age. 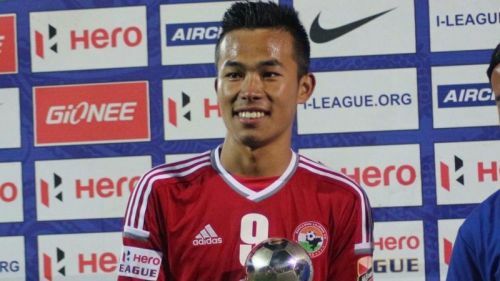 Lalmuanpuia was also named the Emerging Player of the I-League 2017-18 for his role in helping Lajong finished sixth in the league. He has made 59 appearances overall for Lajong. This season though, Lalmuanpuia made 17 appearances for Lajong, some of them off the bench and scored 3 goals in their campaign. Samuela, as Lalmuanpuia is fondly called, had to shift to a different club by the end of the season since Lajong finished bottom of the I-League table and were relegated. Samuela will be a prized asset for Minerva Punjab, who are looking to redefine themselves in the I-League. After claiming the I-League trophy in the 2017-18 season, Minerva couldn't replicate the same performance this season. They are one spot from the bottom with one game left to play, against Real Kashmir. Samuela's set-piece prowess will be of great use to Minerva. The dead-ball specialist could be seen taking most of Minerva's free-kicks and corners next season as he will try to move up later to a bigger ISL club. Lalmuanpuia started his youth career with Chandigarh Football Academy where he spent about six years. He then shifted to Lajong and played in their junior side before earning his senior team call-up in 2016. Samuela was called up to the India U-23 camp under coach Derrick Pereira recently. He did not, however, make the final 23 who travelled to Uzbekistan for the AFC U-23 Championship Qualifiers. At Minerva, Samuela will hope to rediscover himself even though the I-League will likely be rebranded as the Second Division next season. 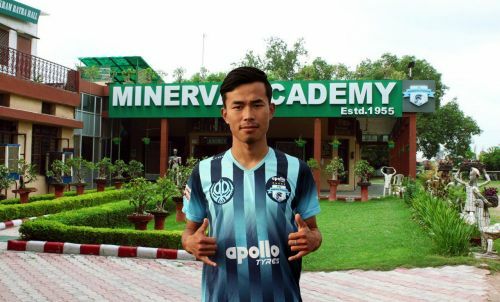 "Minerva Punjab FC are delighted to announce the new loan signing of Samuel Lalmuanpuia from Lajong," Minerva said on their Twitter handle.